203cm long, yeah thats compact. Nice carbon rails will add the needed stiffness, smart to make the carbon visual... 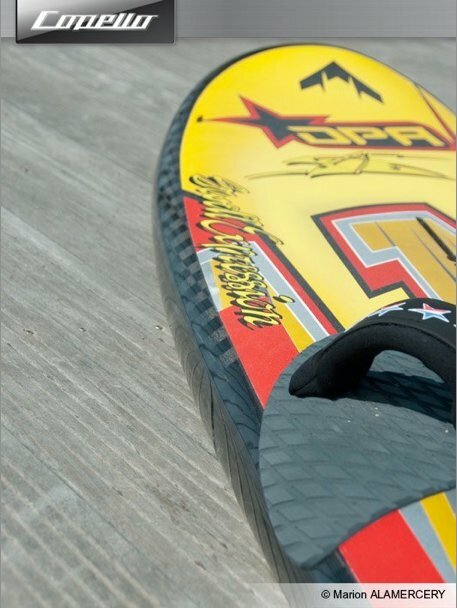 I think this board should be fast like any other copello I have raced against. It looks like copello uses through his whole windsurfboard range a widest (outline) point in front of the masttrack, the slalom-mini-board-concept is no exception.